Here are some of my favorites for the spring. This is a nice mixture of songs that make me want to jump for joy and slower-paced ones for those quieter bedroom kind of days. 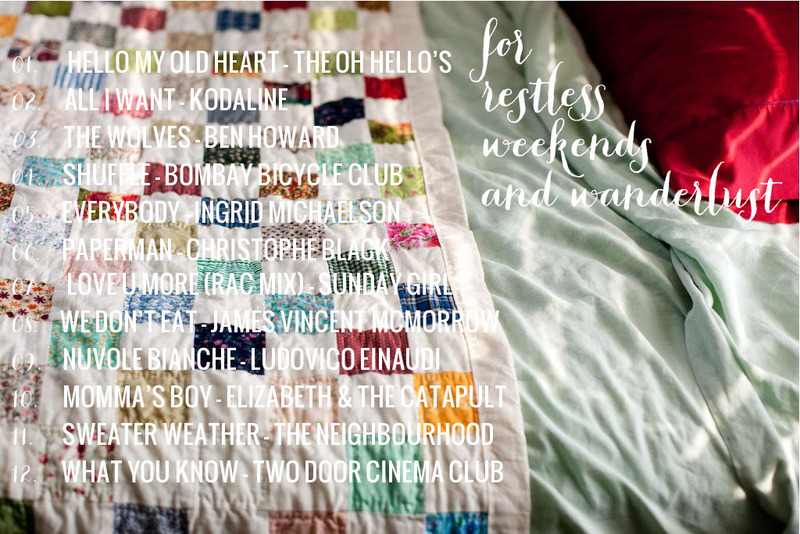 I often listen to these songs on weekend mornings while shadows from the blinds run across my covers, and sometimes at night when I want to clear my mind. I decided to begin an occasional series of mixtapes, so here you are.